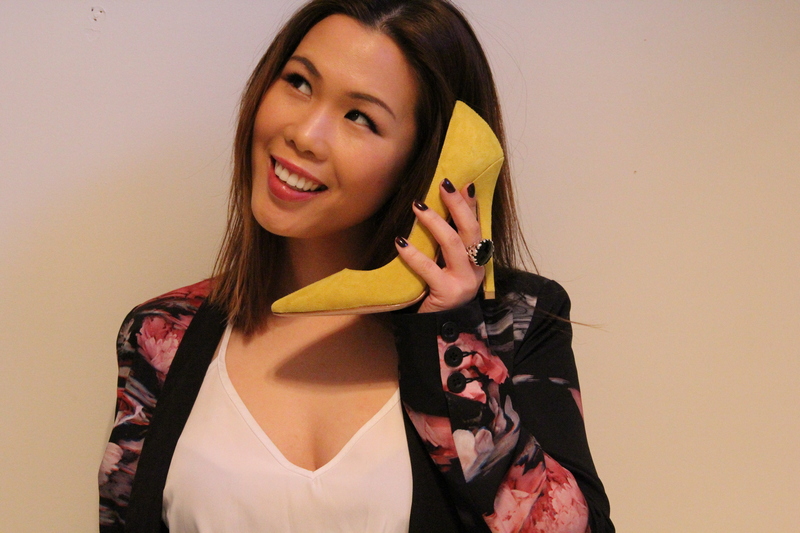 I was invited to tag along to the first Business in Heels – Melbourne Bayside event 2-3 weeks ago, and I’m SO glad I did! Business in Heels (BIH) is a a network of women coming together in cities all around the globe every month, to network in a social environment. BIH has different regions everywhere, and I happen to attend the newly budding Melbourne Bayside BIH. It was a night full of freebies, chit-chatter, enlightening presentations, with drinks and canapes. I liked that all the ladies made a night of it and donned their best heels. Of course there was a “Best Heels” title to be won, and guess who won it – ME! Needless to say it was a great night. 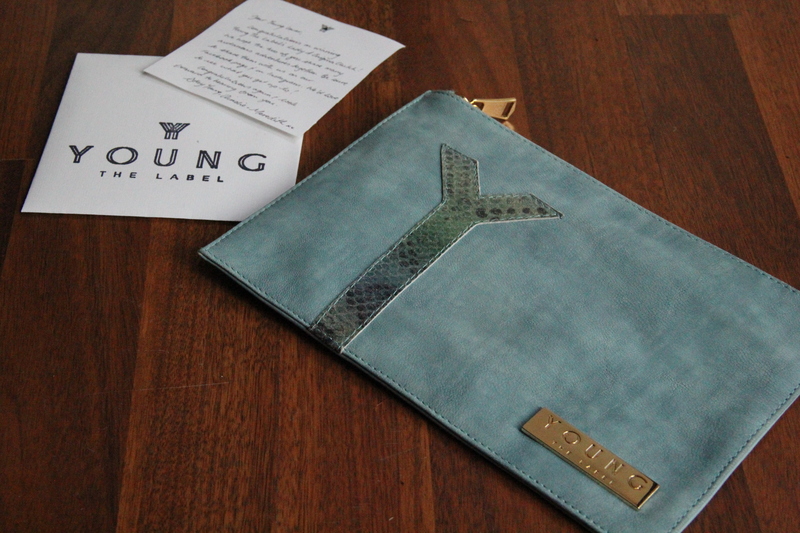 I won a gorgeous Australian designer, luxury leather clutch by Young the Label. This label just happens to be another budding business started by 2 sisters and they make beautiful and practical designs for girls on the go, like ME! Check out my winnings below. Update: I’ve since met with a valuable connection that I made at last month’s event! 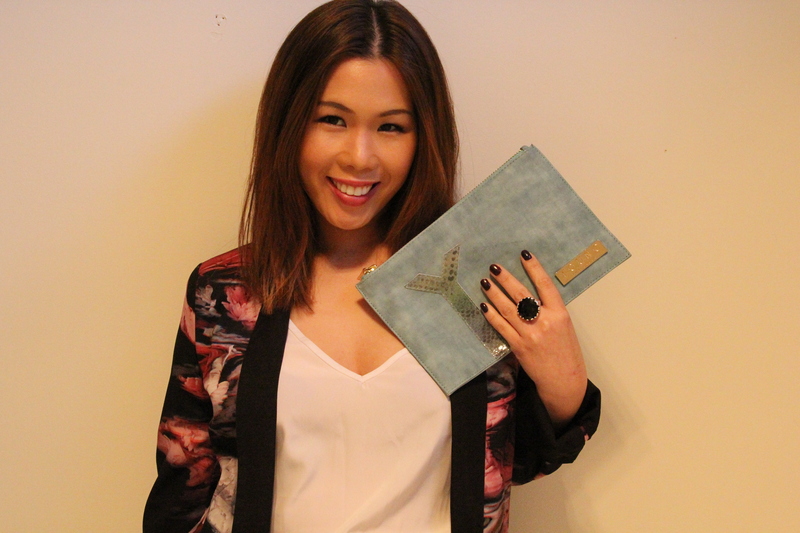 I had the pleasure of meeting Social Media Guru, Mel Lee and talking to her about my blog. She was mentioned in the newsletter clipping below. I love how opportunities like these networking events can throw great things into the mix of life! BIH said they’ll be running monthly events, so I can’t wait for the next one! 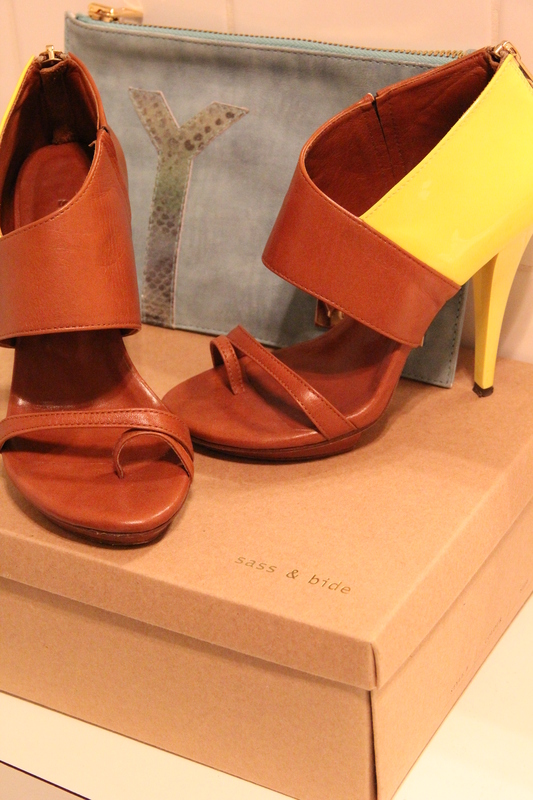 The “Best Heels” I wore from Sass & Bide. Special handwritten card for me! 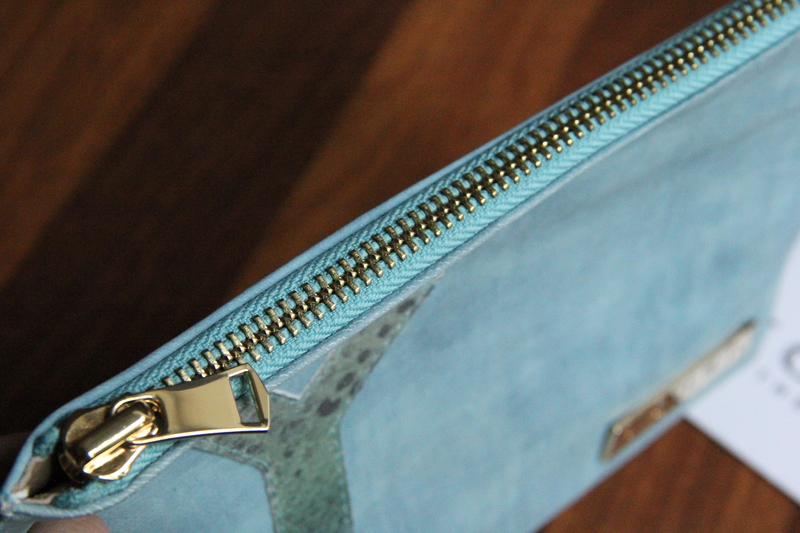 Love the gold zip and blue suede. 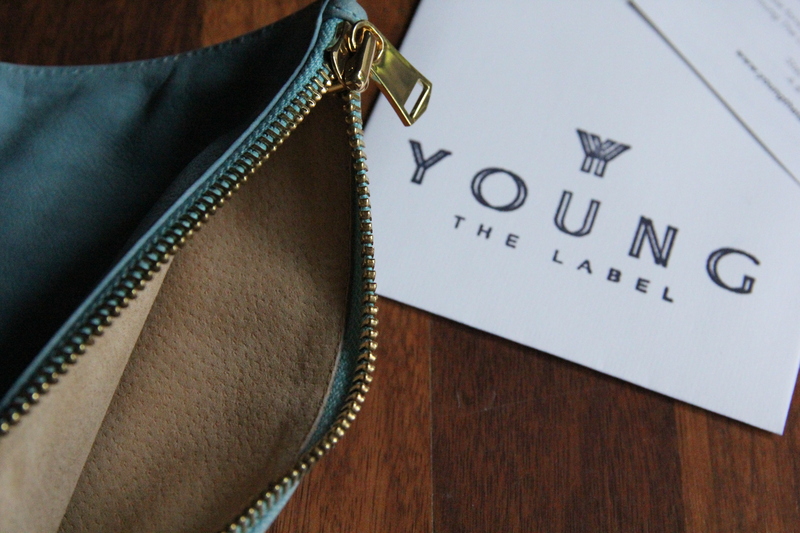 Has this lovely neutral suede lining inside the clutch! Great quality leather! 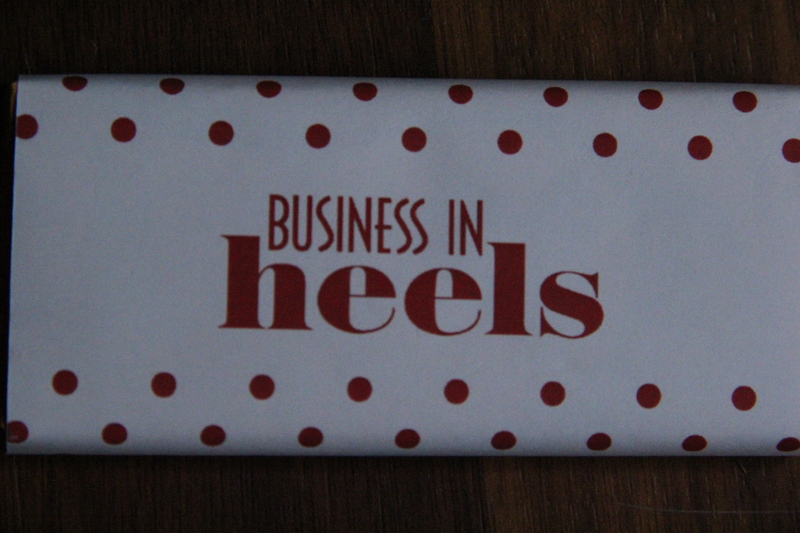 Business in Heels chocolate bar? Yes, please! 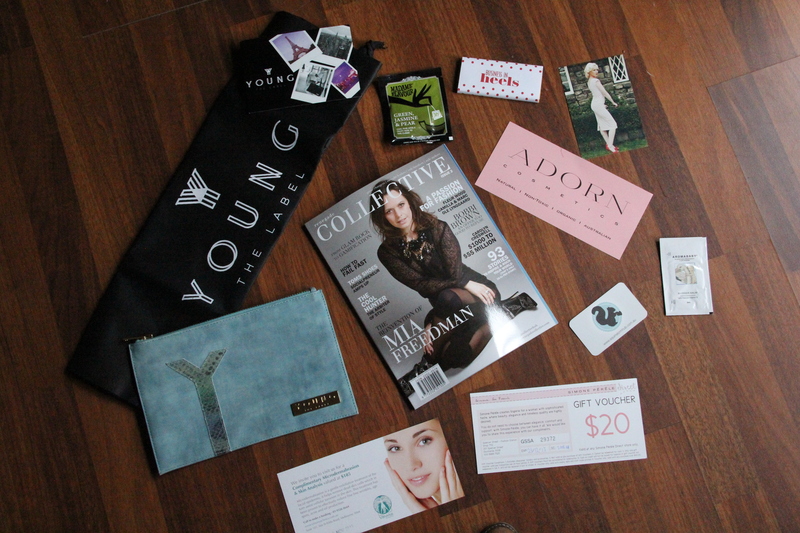 Party Bag full of discounts, vouchers and goodies! I was mentioned in their email that went out last week! Thanks, Ainslie! 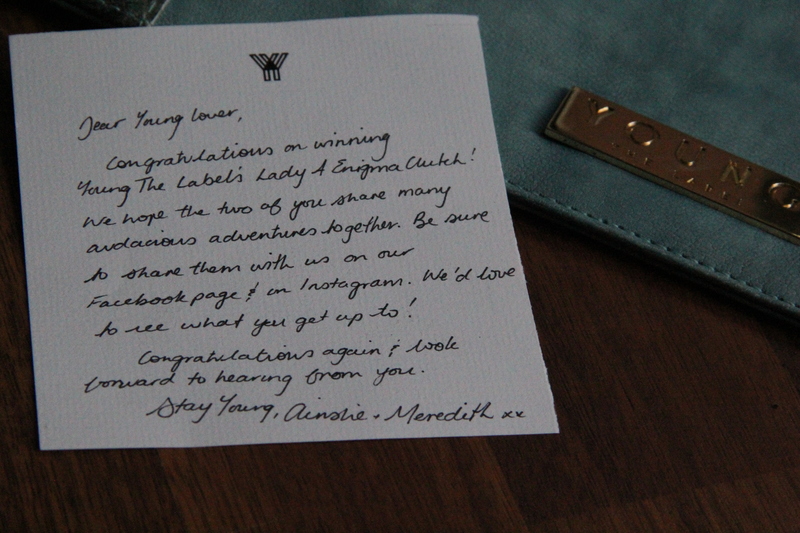 I feel so lucky to have won the clutch and it’s now my favourite accessory! I’ve been taking it everywhere with me, and I get quite a few comments. I even plugged your label to a retail sales assistant in Melbourne. I may need to get myself another one at this rate haha! Thanks for the lovely comments. Hope to see you some day at a BIH event!